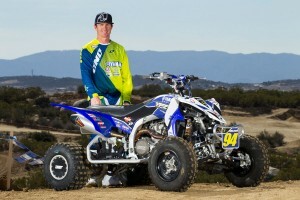 Yamaha ATV Racing capped a record breaking, championship winning season this year with the new 2014 YFZ450R filling podium spots and taking top honors in motocross and cross country racing. 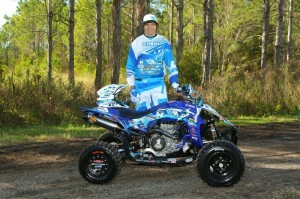 Among the year’s highlights for team blue, Yamaha’s Dustin Nelson celebrated a record sixth QuadX Series championship, Chad Wienen took his third straight AMA Racing title, and Yamaha received the AMA Pro ATV Manufacturer’s title for the third year in a row. Yamaha’s YFZ450R – the highest performance, most technologically advanced sport ATV – received some significant power and handling updates in 2014. The YFZ450R is assembled in the U.S.A. at Yamaha’s factory in Newnan, Georgia. 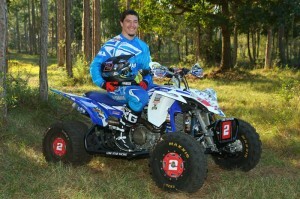 Leading Yamaha’s ATV racing efforts in the Grand National Cross Country (GNCC) series, Yamaha’s Walker Fowler doubled his first-place podiums this year to six and pushed hard to the final race taking second overall and just missing the top spot by the thinnest of margins in this year’s XC1 class. 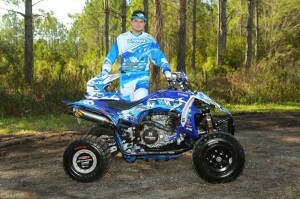 Cole Richardson captured the XC-2 class Championship aboard his YFZ450R with eight wins on the season. Yamaha’s Thomas Brown grabbed five podiums in the AMA Racing series with a first and second place finish at Amsoil ATV Showdown at Sunset Ridge and NYCM Insurance National at Unadilla, respectively. Just missing second place overall by two points, Brown took third place overall for 2014.